This is the Serpent Pit Caddy. 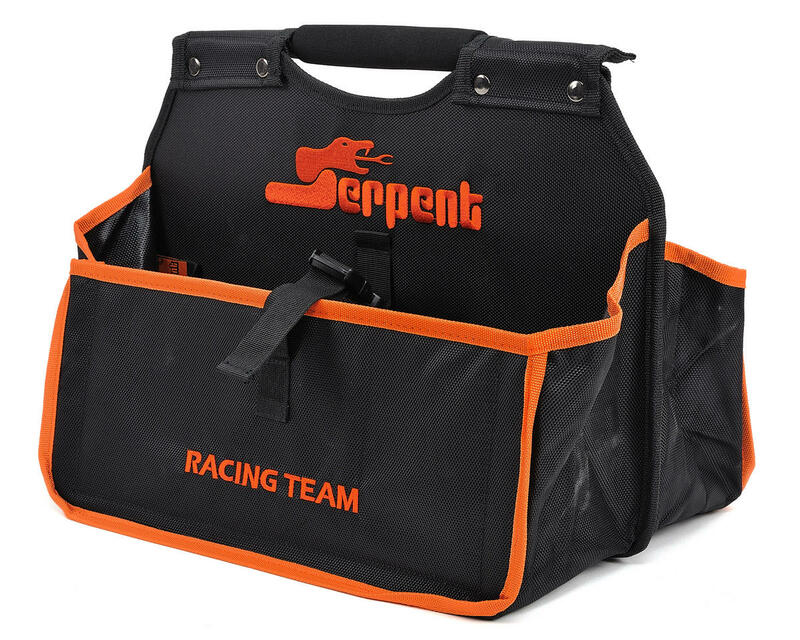 This caddy provides lots of space for your pit-lane utilities, tools, fuel, starter box, fuel bottle and gun, along with anything else you need to bring to the pit lane. A strong foam padded carrying handle, strong nylon material, and hard nylon inner plates for stability help to make the bag durable, while strong belts to hold it in shape when the bag is full. When empty, the bag folds together with ease, so the bag is easy to transport. 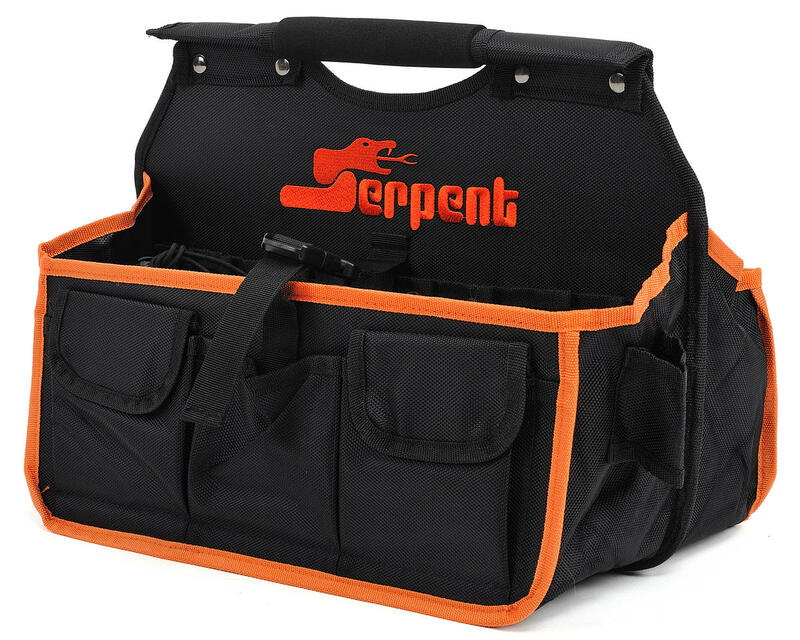 This bag is awesome i own one....it has nice space for all your tools and everything is nice and neat the bag is worth the money. and i want to add it is really sturdy and strong.